Despite it being the beginning of October, in Hong Kong we are still bathing ourselves in 32 degree sunshine and wondering when on earth is Autumn arriving. Then again, that last point could be just me. Although, I cannot wait for Autumn to come along and allow me to wear chunky knits and over bearing scarves, I am not saddened with the event of sitting in the sun with my trusty fruit infused water and my reusable straw. It amazes me how things come into fashion quite quickly however, this new trend is something I definitely think is worth hyping over. It's been all the rage worldwide - to start reducing our carbon footprint, to buy groceries in bulk (with no plastic involved) and to say no to disposable straws. Although, a wee bit late, it's better late than never. I have tried cutting down my use of plastic in the past but that would consist of small gestures like recycling, reusing cutlery and not asking for a shopping bag and shoving it into my handbag instead. But over the past few months, I've really taken it into my stride. I was referred by a friend about this store situated quite close to the City's gooey centre and when I found out they had an online store, I could not wait to order my set of reusable steel straws. 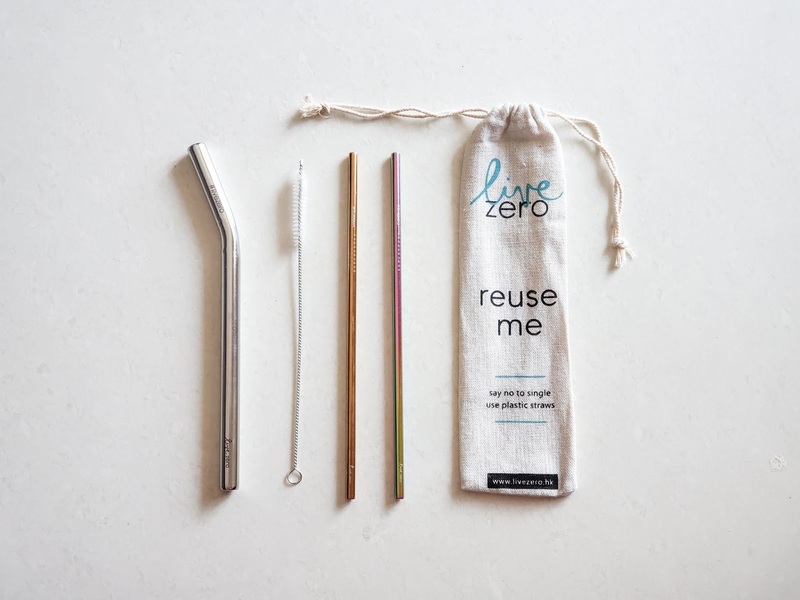 Live Zero offers a wide range of sizes and colours for your preference and you can even get a little bag and straw cleaner to bring with you wherever you go. I am completely infatuated with them and since they arrived in the post, they have not left my handbag. My little set suits me just fine. They retail for about $25 HKD upwards which works out to around £3. That's nothing compared to a lifetime of trash in our oceans. They even ship Worldwide! 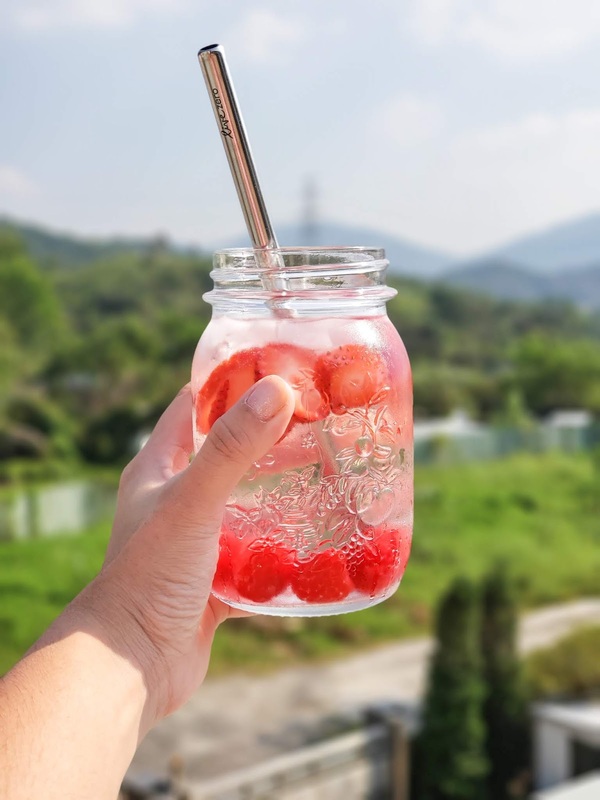 I personally purchased two everyday straws so that I can have a bit of variety and best of all, if with a friend, I'd like to be able to offer them one too. What I highly rate Live Zero for, is that they also offer a Bubble Tea range. For me, its a massive win (!) as bubble tea seem to be a classic favourite in the city and a personal favourite of mine. It has also taken me several months to start remembering the new habits that need to come with them and are things that you may want to be mindful of as well. Ordering a beverage and making sure they DON'T add a straw as you have your own. Finishing said beverage and making sure they DON'T throw away YOUR previous straw. Carrying tissues or some form of cloth with you to place the used straws in.